The city generally has a climate with warm days followed by cool nights and mornings. In April the weather will be very pleasant with temperature around 20 to 25 degrees Celsius during the day and at night it will be around 15 degrees Celsius. Evenings can be generally windy with changes of light showers. It is a very popular must see place and unique historical cultural destination of Nepal enlisted under UNESCO world cultural heritage site. This is a massive complex to many ancient palaces, courtyards and temples including a home of living goddess “Kumari.” It is 5 minutes walk from Thamel and 10 minutes drive from Patan. More information:http://www.kathmandu.gov.np/Page_Kathmandu+Durbar+Square_168, http://www.nepal-kathmandu.com/kathmandu-durbar-square.php. Nagarkot is situated in the altitude of 2195m above the sea level and about 1 hour drive from Bhaktapur Durbar Square. 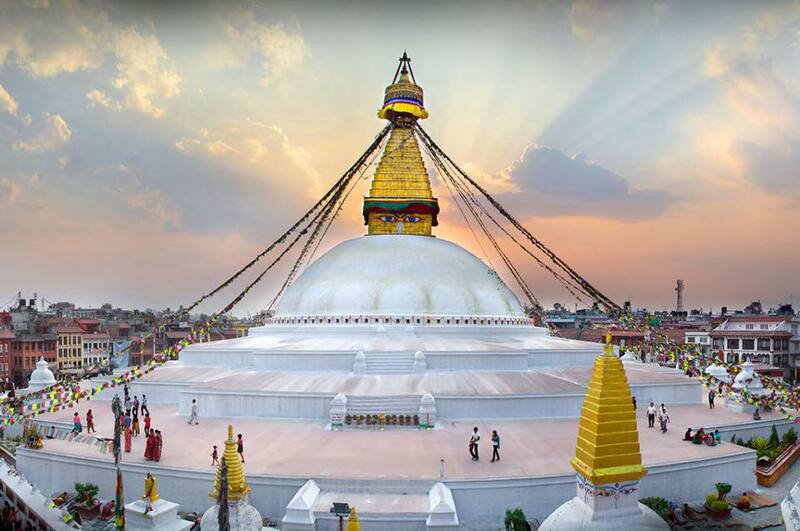 It is a world famous hill station giving a breathtaking views of Annapurna range, manaslu range, ganesh himal range, langtang range, jugal range, rolwaling range, mahalangur range(where the world’s highest peak Mt Everest exists ) and number range with the splendid view of Kathmandu valley. Ever wanted to see the world’s highest mountain? Everest flight is a 1-hour tour to see Mount Everest from airplane. I made this tour; below is my own photo of Mount Everest from the board of the plane. Note: this tour is optional and will cost additional fee around $100 to $200.